Long-term antiplatelet monotherapy — ticagrelor in combination with aspirin for 1 month followed by ticagrelor alone for 23 months — is safe after stenting but does not reduce the risk of heart attack or death as compared to 12 months of standard dual antiplatelet therapy followed by 12 months of aspirin alone. These are the late-breaking results from the GLOBAL LEADERS trial presented at ESC (European Society of Cardiology) Congress 2018 and subsequently published in The Lancet. Patrick Serruys, professor, Imperial College London, UK, and colleagues hypothesized that ticagrelor, in combination with aspirin for 1 month, followed by ticagrelor alone, improves outcomes after percutaneous coronary intervention compared with standard antiplatelet regimens. Ischaemic heart disease, a condition characterized by narrowing of the arteries that supply oxygen-rich blood to the heart due to the accumulation of fatty material, is the top global cause of death. Its treatments include surgery to bypass the arteries, medication, and keyhole surgery to open clogged arteries by inserting a stent (percutaneous coronary intervention; PCI). Among patients undergoing PCI, dual antiplatelet therapy (aspirin plus a P2Y12 inhibitor) reduces the risk of blood clots and heart attacks but also increases the risk of bleeding. A shorter duration of dual antiplatelet followed by single antiplatelet therapy with a P2Y12 inhibitor might reduce adverse events with no increase in bleeding. GLOBAL LEADERS is the largest trial to date that tested one month of dual antiplatelet therapy versus the standard of more prolonged dual antiplatelet therapy after drug-eluting stent implantation. It enrolled 15,991 patients scheduled to undergo PCI for stable coronary artery disease or acute coronary syndromes. Patients were recruited from 130 centers in 18 countries in Europe, North and South America, and the Asia Pacific. 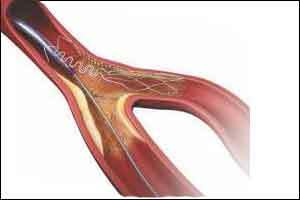 Patients underwent PCI with a drug-eluting stent, were treated with the direct thrombin inhibitor bivalirudin, and then randomly assigned in a 1:1 ratio to the experimental or standard treatment arm. The experimental arm received one month of dual antiplatelet therapy with aspirin plus the P2Y12 inhibitor ticagrelor, followed by ticagrelor monotherapy for 23 months. The standard treatment arm received 12 months of dual antiplatelet therapy with aspirin plus a P2Y12 inhibitor (clopidogrel for patients with stable coronary artery disease, ticagrelor for those with acute coronary syndromes), followed by aspirin monotherapy for 12 months. Patients were followed up for the primary endpoint of all-cause death or non-fatal myocardial infarction at two years. Myocardial infarction diagnoses were confirmed by a central committee that examined electrocardiograms (ECGs) at discharge, three and 24 months. The secondary endpoint was the rate of moderate or severe bleeding (grade 3 or 5 on the Bleeding Academic Research Consortium scale) within two years. At two years the primary endpoint had occurred in 304 (3.8%) patients in the monotherapy group and 349 (4.4%) in the standard treatment group (rate ratio [RR] 0.87, 95% confidence interval [CI] 0.75–1.01, p=0.073). All-cause mortality occurred in 224 (2.8%) patients in the monotherapy group and 253 (3.2%) in the standard treatment group (RR 0.88, 95% CI 0.74–1.06, p=0.186), and the incidence of non-fatal myocardial infarction was 1.0% versus 1.3%, respectively (RR 0.80, 95% CI 0.60–1.07, p=0.142). Rates of moderate or severe bleeding were 2.0% versus 2.1%, respectively (RR 0.97, 95% CI 0.78–1.20, p=0.766). “Ticagrelor in combination with aspirin for 1 month followed by ticagrelor alone for 23 months was not superior to 12 months of standard dual antiplatelet therapy followed by 12 months of aspirin alone in the prevention of all-cause mortality or new Q-wave myocardial infarction 2 years after the percutaneous coronary intervention,” concluded the authors.